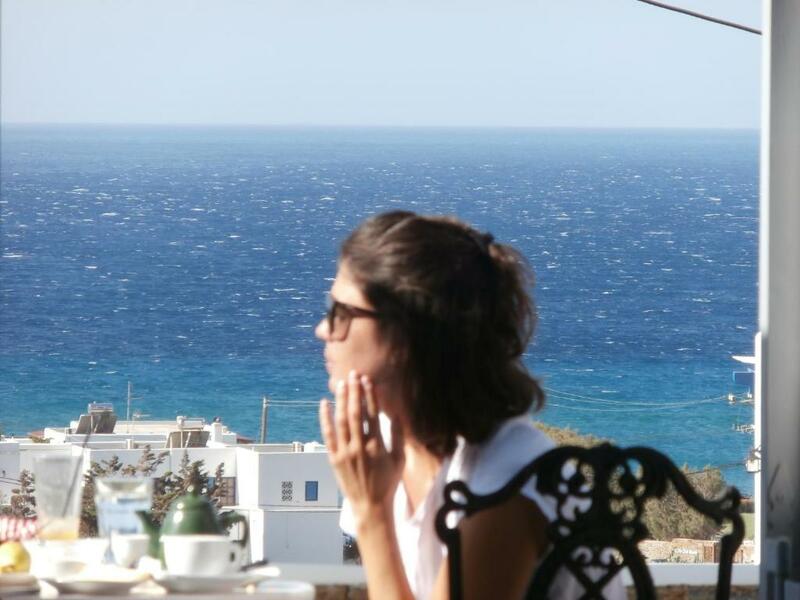 Great breakfast with a pretty terrace and stunning view ! Peaceful and quiet place. Spacious independant appartements, and confortable. Good situation to explore the island, by bus or car. Breakfast was amazing!!! A wonderful surprise. Our room was clean and spacious. Love it!!! Wonderful appartement with a beautiful view and spacious rooms. The appartements are located just a short 6 minute walk from the bus station (the walk is a bit uphill - but you get rewarded with a great view!). From the bus station you can get to the town of Tinos in 5 minutes. The staff was very friendly and helpful and arranged another room for us, so we could stay one day longer. Furthermore, they offered free transfer from and to the ferry port. All in all a perfect experience - we would totally come back! It's a very nice hotel, friendly host, clean rooms, but most of all the view is amazing and the breakfast perfect! 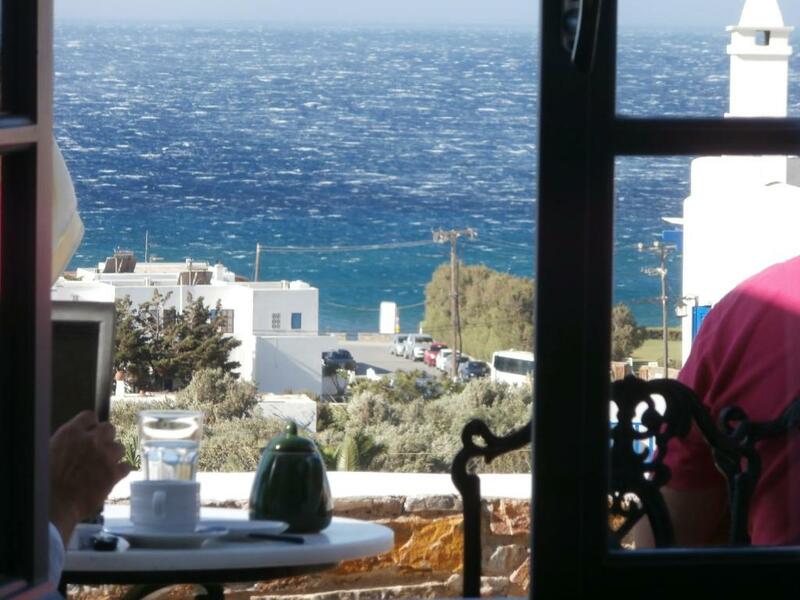 We went to Tinos for our honeymoon and in Galini it was all perfect: the view from our bungalow was beautiful, very good breakfast was with sea view, delicious Greek yogurt, orange juice and many other good things. Mr Antonis was always very kind to us and helped us when we needed something. 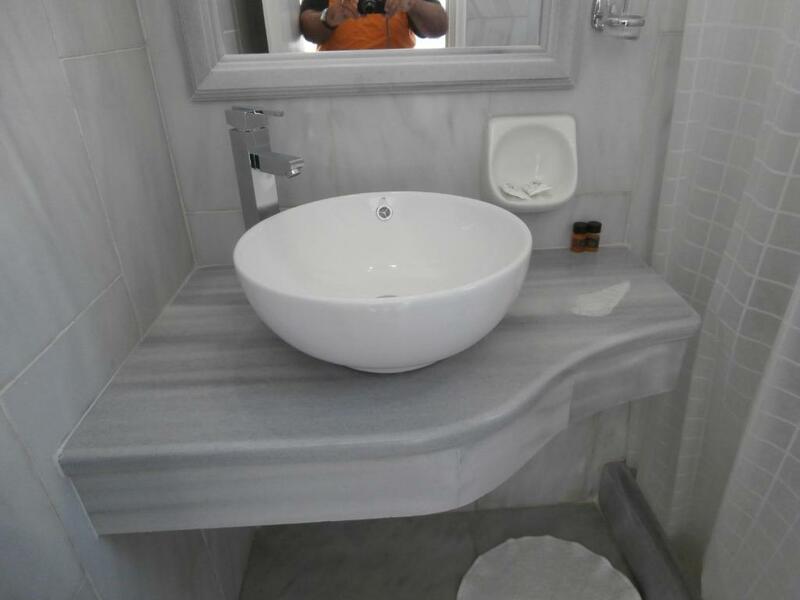 Galini is in a very nice location, with its beach, restaurants and very close to the town of Tinos where you can find more services and local. We want to recommend Galini because it is a perfect option for those who want to relax, enjoy the sea view and feel at home. We also liked the island of Tinos, where Galini is located, so we recommend you go there to visit a less well-known island of the Cyclades but it is well worth it. Staff were very helpful including collecting us from the ferry. The hotel location and view from the room were stunning! Absolutely loved breakfast served in the hotel outdoor restaurant with a mesmerising sea view! 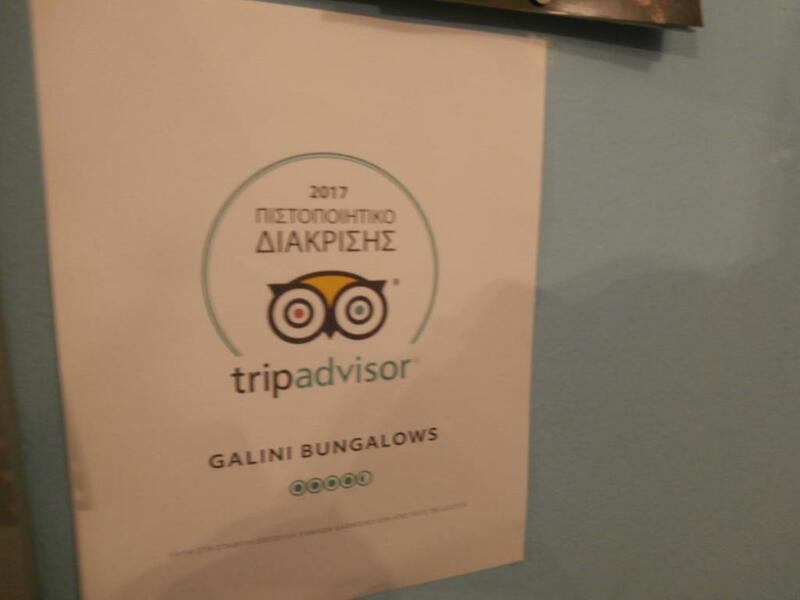 Lock in a great price for Galini Bungalows – rated 8.3 by recent guests! 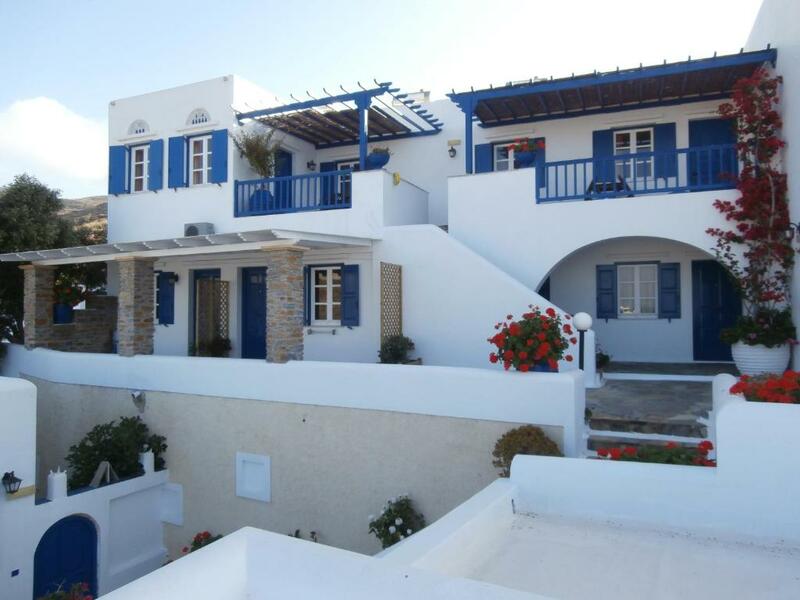 The Cycladic complex Galini Bungalows is located in the seaside town of Kionia, 650 feet from Kionia Beach and 1.9 mi from Tinos center and port. 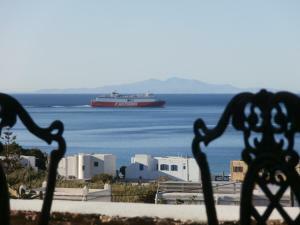 Rooms have large verandas with flower pots and Aegean Sea Views. The homely rooms have floor-to-ceiling windows. All rooms are air conditioned and offer a fridge and a TV. Some units include a kitchenette and dining table. Wi-Fi is free in public hotel areas. Galini Bungalows serves a daily Continental breakfast. Guests will also find a snack bar and a cocktail bar. Free transfer to the port can be arranged with the hotel’s private shuttle bus. Free parking space is also provided. When would you like to stay at Galini Bungalows? 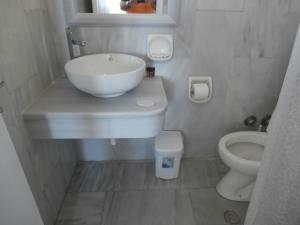 Good-sized, air-conditioned room with balcony with sea view, fridge, private bathroom and TV. Daily cleaning service is provided. 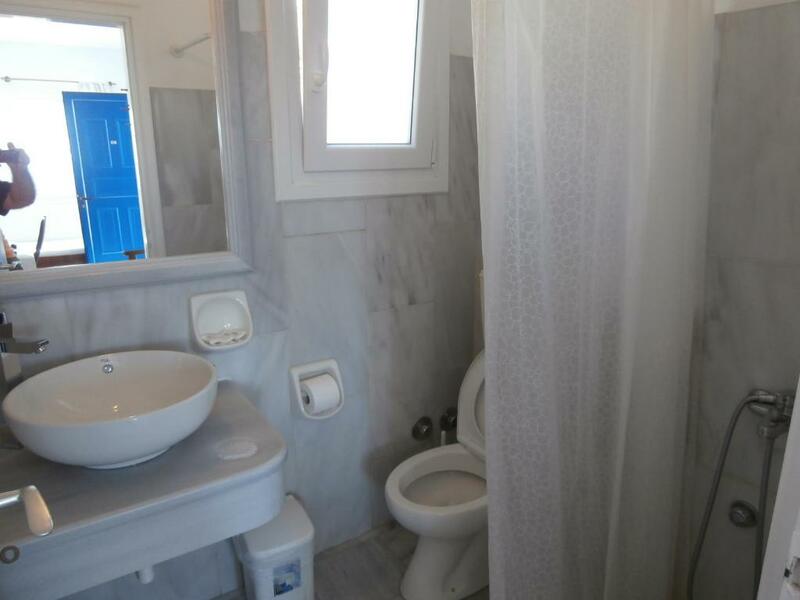 Spacious, air-conditioned studio with porch with sea view, TV, private bathroom and kitchenette with fridge. Daily cleaning service is provided. Large apartment featuring a 97 ft² balcony with sea view, living room with extra bed, bathroom, kitchen and bedroom. Daily cleaning service is provided. Spacious, self-catered apartment featuring a 9-m² terrace with sea view, living room with extra bed, bathroom, kitchen and bedroom. Daily cleaning service is provided. 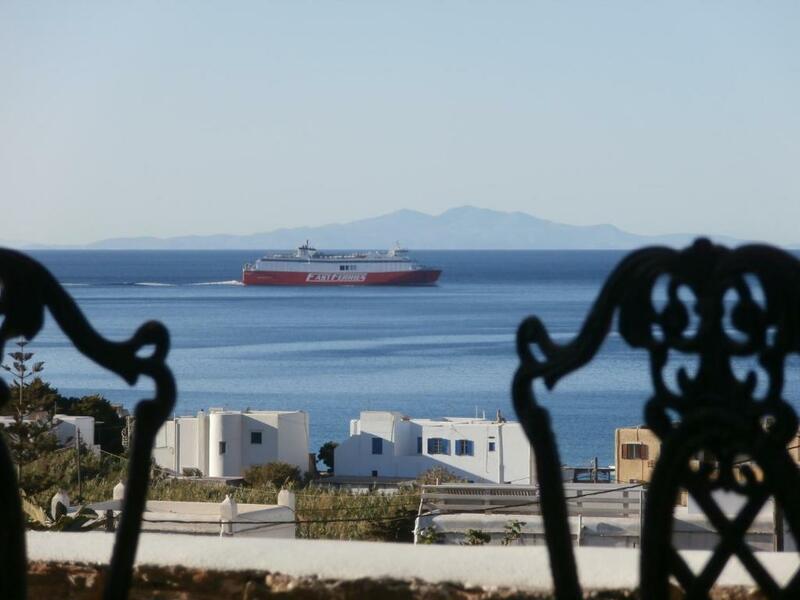 Offering Aegean Sea view, this 1-bedroom apartment opens to a spacious balcony. It comes with a seating area with TV and a kitchenette with dining area and mini oven with cooking hobs. Offering sea views from its balcony, this apartment has a separate bedroom, a living room, a fully equipped kitchen and a bathroom. This studio features a balcony, kitchenware and air conditioning. House Rules Galini Bungalows takes special requests – add in the next step! Galini Bungalows accepts these cards and reserves the right to temporarily hold an amount prior to arrival. Please note that guests are offered insurance coverage. Kindly note that free shuttle service from/to the port is provided upon request, at least 1 day prior to arrival. You can use the Special Requests box when booking, or contact the property directly using the contact details provided in your confirmation. Please note that the front desk operates from 7.30 am to 15:00 and from 17:00 to 23:00. Please inform Galini Bungalows of your expected arrival time in advance. You can use the Special Requests box when booking, or contact the property directly using the contact details in your confirmation. Wifi signal was a bit weak. It located a bit uphill and you have to drive through narrow roads to get there. So if you're not an experienced driver with a good car, this might be a challenge. Views, location, clean, amenities. I love it!!! The rooms are located on the top of a hill and it is a long walking distance to the beach (very exhaustive, esp. after the noon swimming and under high temperatures). I booked 4 rooms for 2 days and there were 11 persons that I had to arrange the accomodation for them. We arrived there at noon and we wanted to have some cold refreshments/coffees (cause of the high temperature and the journey). Few friends visited us and although they ordered extra coffees and refreshments, they were kicked out. We were told that the cafe is closing at 12.30 and no visitors are allowed to stay in the cafe (although we ordered and paid for the coffees w/o any notice that we need to leave in 10mins). The hostesses were highly unprofessional and very erratic. They did not treat us nicely and I would call it a very bad experience. Regarding the rooms, there was little value for the money that we afforded. The electric equipment was quite old and along with the marble bathroom need some renovation. The breakfast & view are amazing!!! It was just a small leak but I didn't mind to mop it every morning but it would be fixed straight away if I was informing the owner.